What’s the difference between an arrest record and conviction record? Well, actually a great deal and the difference is important according to FCRA (Fair Credit Reporting Act) guidelines. Keep reading to find out more...or, you can contact us now. We would love to help you get your background screening program on the right track! 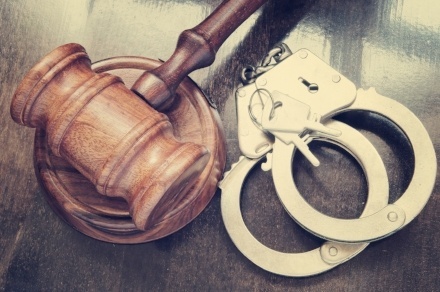 If the individual arrested for a suspected crime was found guilty or plead guilty in a court of law then it is considered a conviction record. A conviction record or often called criminal record is reportable within FCRA guidelines. Keep in mind, when a criminal record (as part of a background check) assists an employer in making an unfavorable employment decision for an employee, then there are rules you must abide by. Take a minute to review our Adverse Action Letters blog to ensure you are compliant! Now that you are an expert on the difference between arrest and conviction records let’s find out where to find accurate criminal records. A good starting point is a Verified Enhanced National Criminal Search alongside County Criminal Searches. These crucial searches will provide the most up-to-date criminal convictions on an applicant. However, there are many other searches that may be beneficial to running. Our background screening packages can be tailored to your industry and/or your company’s specific needs. Our national account executives can help find the right solution and create a comprehensive background check to fit your needs. A comprehensive background check delivers valuable information from your applicant’s past by confirming their identity, criminal/civil/driving history as well as professional qualifications. Check out the Comprehensive Background Check blog to confirm that your background screening program is extensive as it should be. Partnering with Choice Screening is the obvious and smart choice for your company. We do all the hard work to keep you up-to-date on Compliance, FCRA Guidelines, and topics just like this one. We are standing by to help you create a compliant and comprehensive background screening program!